Inviting and versatile. Expressive without compromising performance. 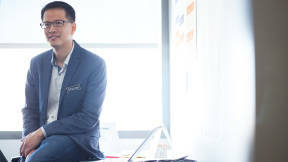 Steelcase Health introduces the Embold collection. A son is taking his elderly mother to the hospital. She’s anxious, exhausted and unsteady. As they walk into the waiting area, she scans the room searching for a place she can easily sit down and stand up without losing her balance. She wants her son by her side, but still wants to be comfortable. Her experience is far from an anomaly. Healthcare visits can be some of the most stressful times in our lives — finding comfort shouldn’t be difficult. Yet, so many places patients or family members gather lack an inviting feeling and, instead, add stress. A plethora of clinical requirements are a barrier to creating a more hospitable environment. In fact, a survey* found 63 percent of patients said the most stressful part of visiting their doctor is waiting to be seen. 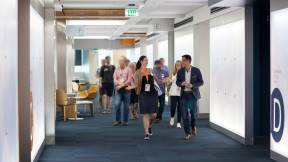 Why can’t healthcare environments be welcoming without compromising performance? 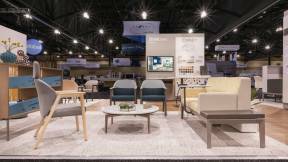 To help organizations create a welcoming and comforting waiting or transition area, Steelcase Health introduced the Embold collection of seating and tables at NeoCon 2018. 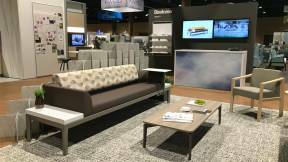 Awarded Best of NeoCon Gold in the Healthcare Guest and Lounge Seating category, Embold combines beauty with accessibility while offering a variety of sizes and material options for a wide range of people and spaces. A warm feeling in a healthcare environment can give people a sense of familiarity, like being at home, in a time of uncertainty. Embold’s inviting design, residential styling and comfortable seating supports people’s innate and natural movements. In order to create a more refined aesthetic, Ramos’ team poured over the details. The bevel in the arm profile, for example, reduces the visual mass of the chair leaving something thin, yet strong. The seam of the upholstery creates a waterline through the seating giving designers flexibility to change the fabric and deliver on a customized vision. Embold’s graceful design and broad statement of line works in many environments and supports people’s various needs. 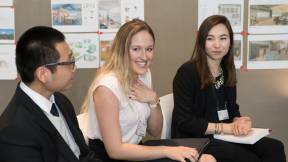 The collection creates flexible applications for designers and customers. Hospital sleeper chairs and multi-seat units can seat one to four people in a variety of configurations. 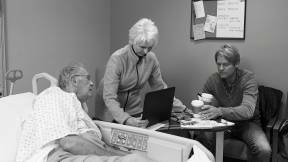 Hip-height and bariatric options provide extended support for elderly and obese patients. Tables in three sizes, with the option of integrated power, offer a place to add softer lighting and personal items. The possibility to provide a larger place to sit gives people a space to set personal items or sit by a loved one. In addition, if an organization’s patient profile changes over time, facilities managers are able to move the arm to re-designate seating to accommodate changes in the healthcare population. 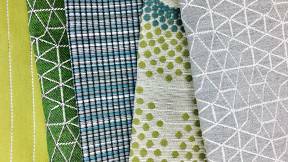 Embold’s range of materiality encourages creativity and expression. 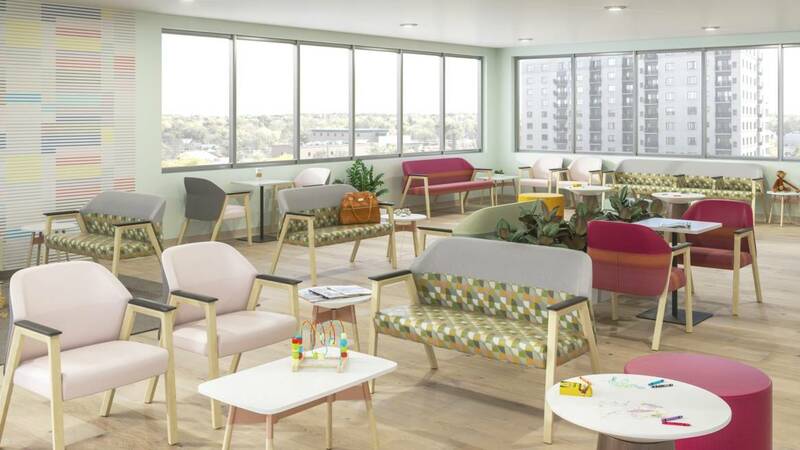 With two back upholstery styles, wood and metal legs and two arm cap shapes with multiple materials offered, designers can move across the design spectrum and allow healthcare organizations to express their unique brand. 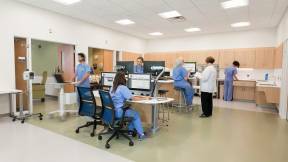 Embold offers the best of style and function for hard-working healthcare environments. The result is safe, durable and easy to clean. 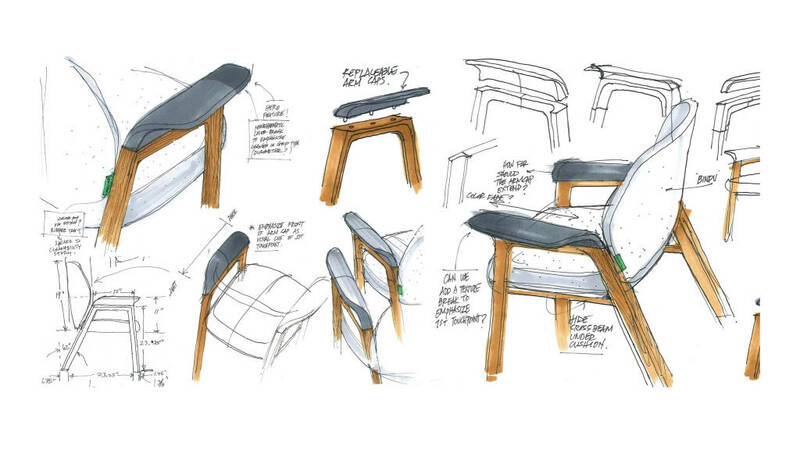 Curved back – This comforting shape supports how people naturally sit. It’s intuitive without the need for adjustments. Wallsaver leg – This refined profile also protects facilities without being a tripping hazard. Arm cap – This beautiful addition to the chair also provides stability through a handed overhang. Crumbsweep – This integrated feature adds to the signature look of the chair while making it easy to clean. 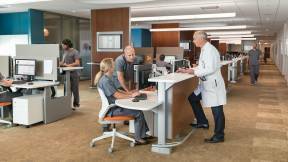 “Healthcare furniture doesn’t have to feel institutional. It shouldn’t add to the stress people feel during a healthcare experience. It should make you feel good physically and emotionally,” said Ramos. 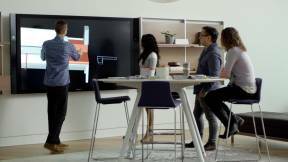 The Embold collection from Steelcase Health will be available in Winter 2018. Sign up to be the first to learn when Embold is available. The Embold collection statement of line offers a range of sizes from a 21” single seat to an 88” multi-seat in matching wood or metal frames. Seating units accommodate one to four people, and offer optional midarms and midlegs to designate space to best serve needs. Individual chairs offer a comforting flex and also are available in bariatric widths, including a bariatric easy access. Embold’s offering includes three table sizes with optional power. Optional features include higher back, and moisture barrier.